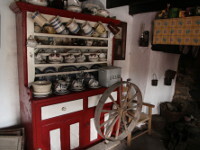 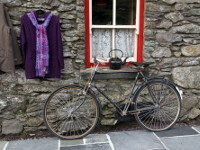 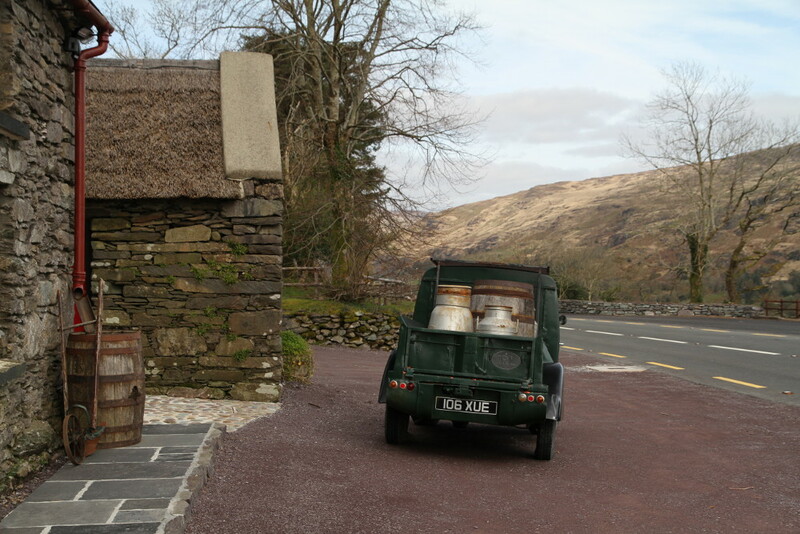 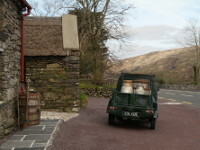 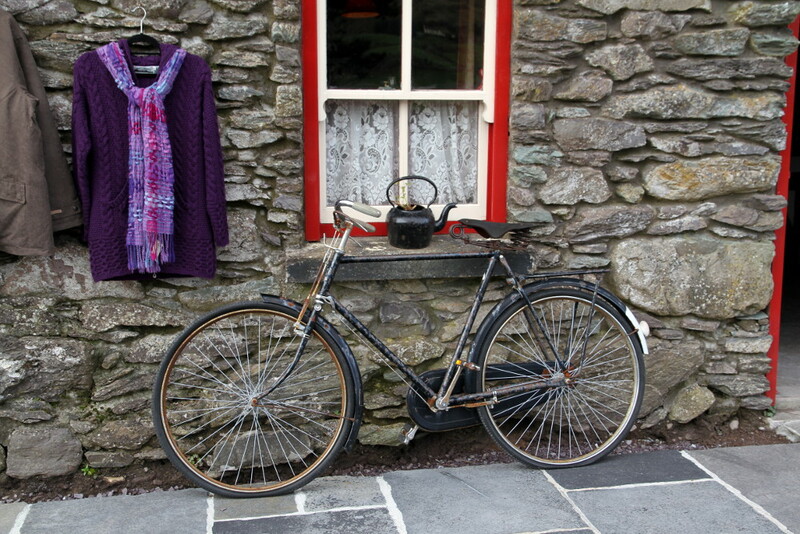 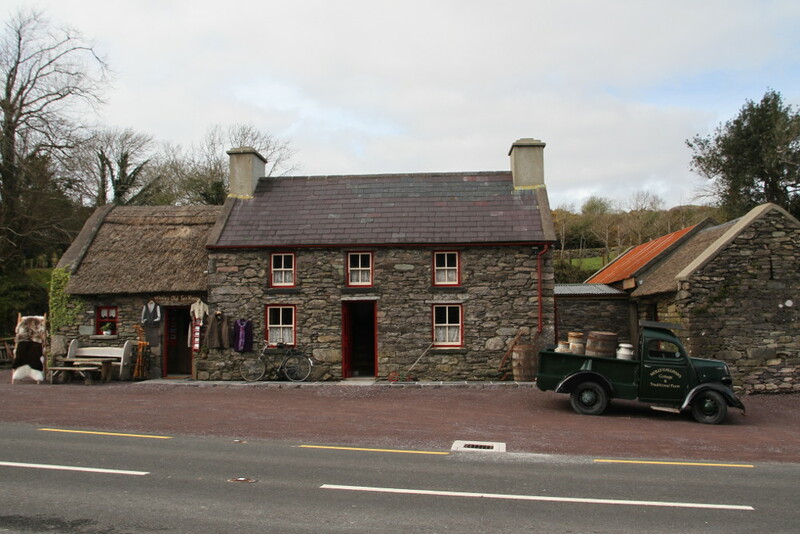 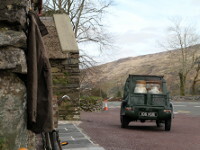 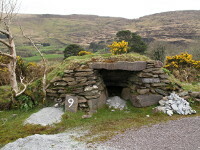 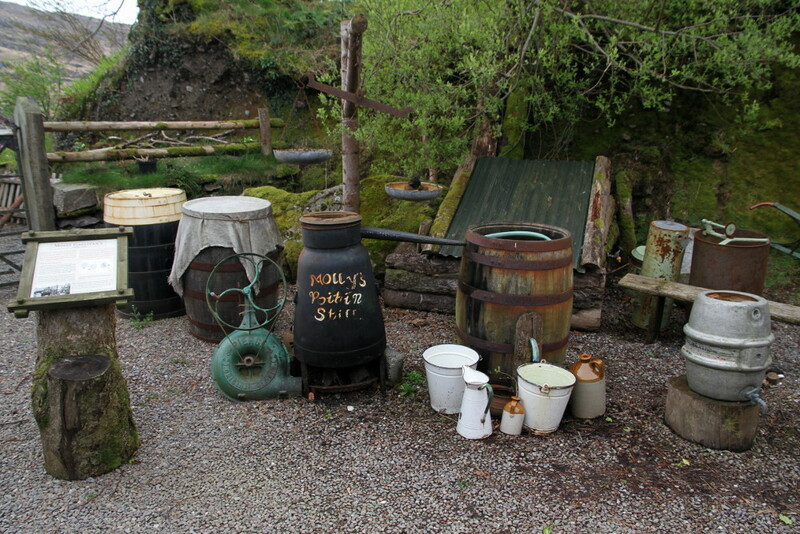 The Molly Gallivan's Cottage and Traditional Farm is small open air museum located in Releigh near Bonane, on Beara Peninsula (Co Kerry), just off the road N71, in the middle way between Kenmare and Glengarriff. 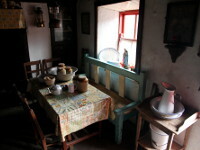 The cottage and farm depicts the everyday life in rural Ireland over 200 years ago, before the times of elecrticity and modern conveniences. 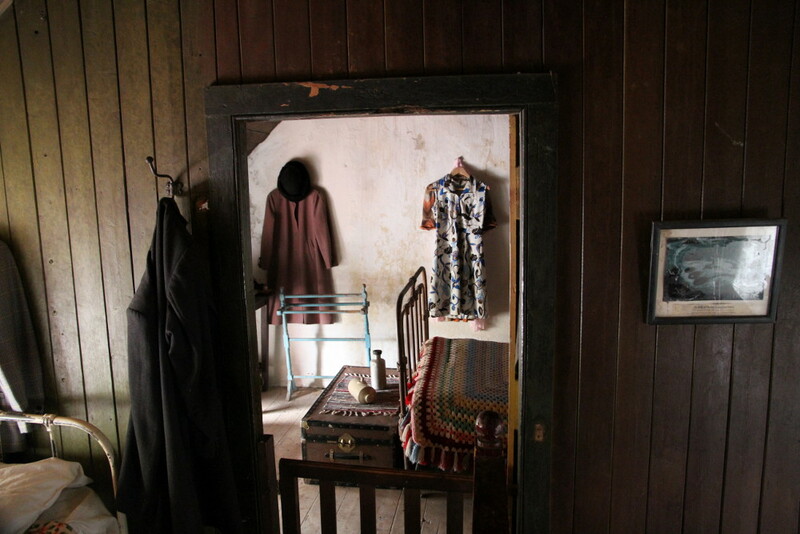 Molly was widowed woman with seven dependent children. 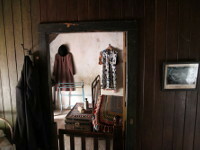 To raise the kids she had to work very hard. 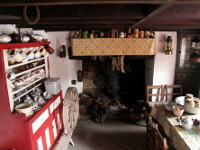 Farm provided food for the family, and superplus of farm products such as eggs, butter or honey were sold on local market. 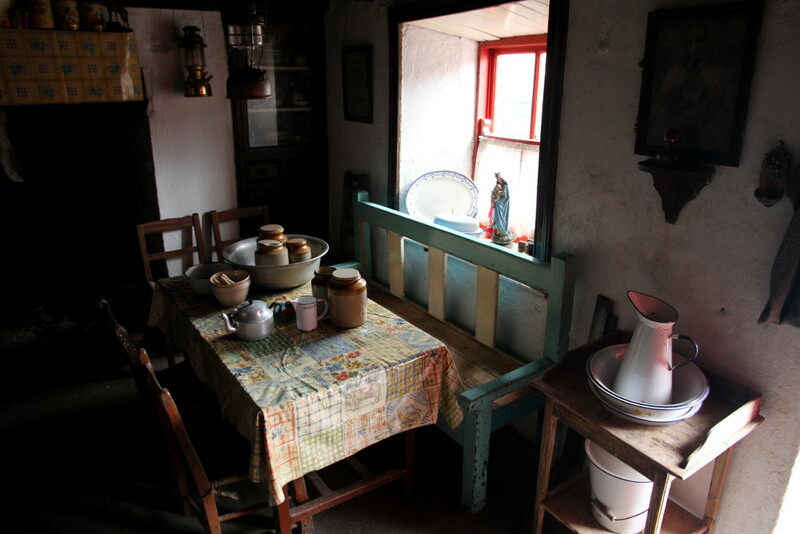 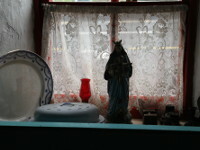 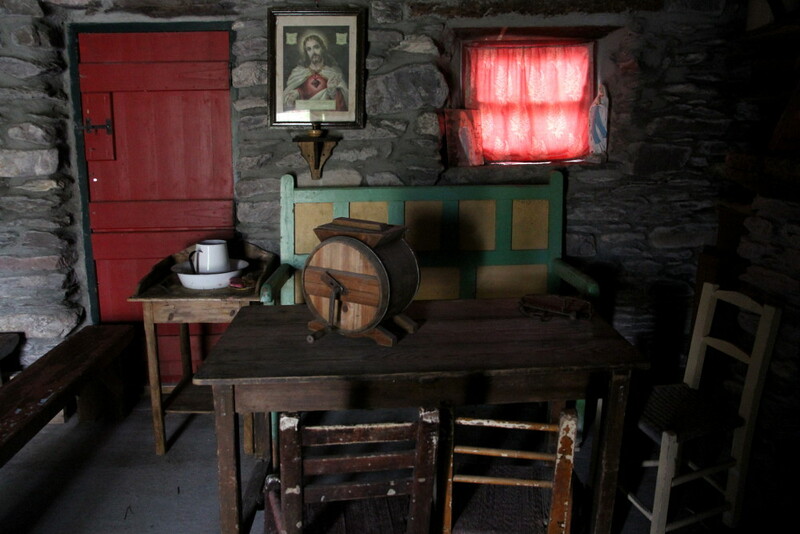 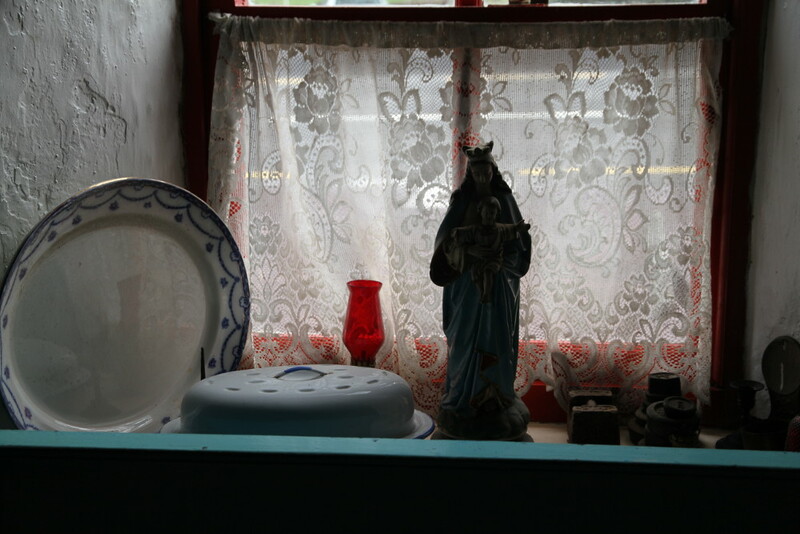 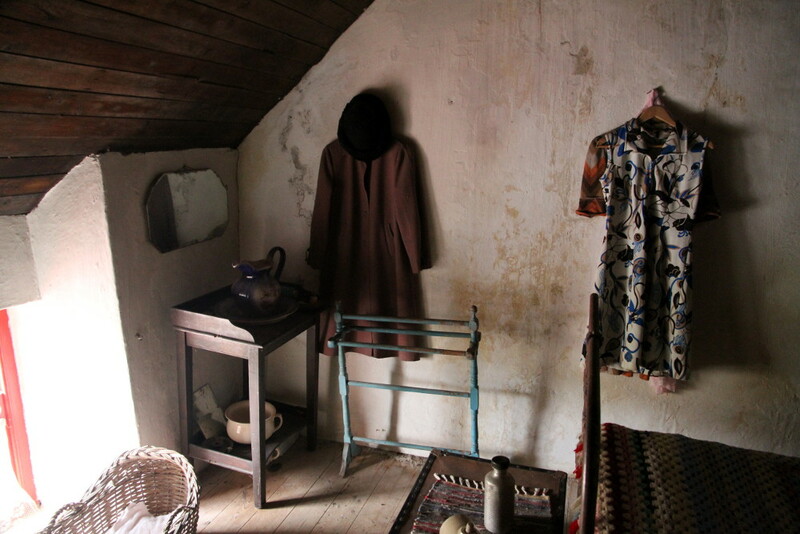 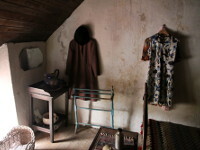 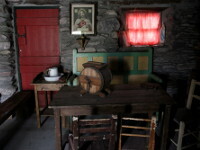 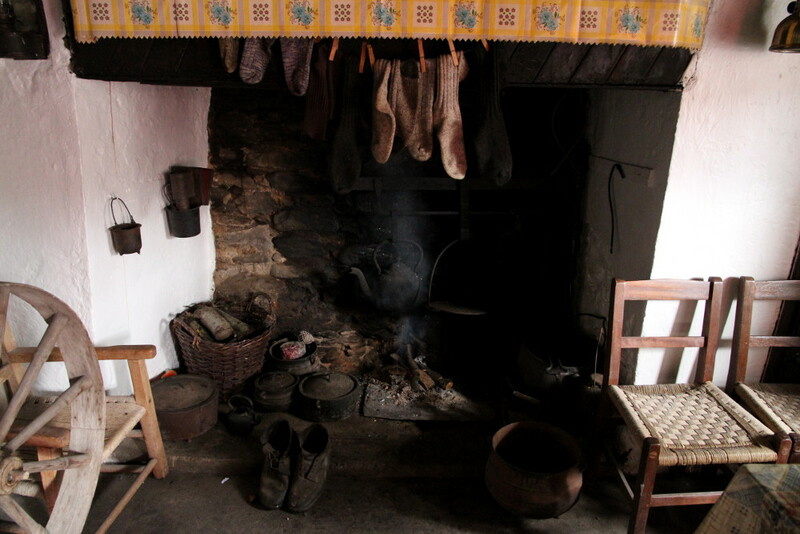 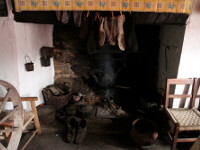 She was also selling the home baking and hand spun woollens, but most popular and renowned of her products was home made whiskey (poitín) ''Molly's Mountain Dew", served in her illegal pub, here in this cottage. 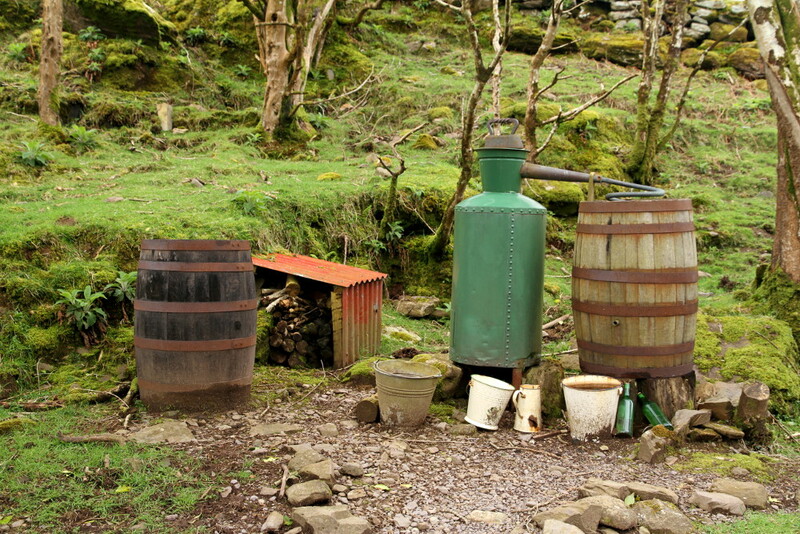 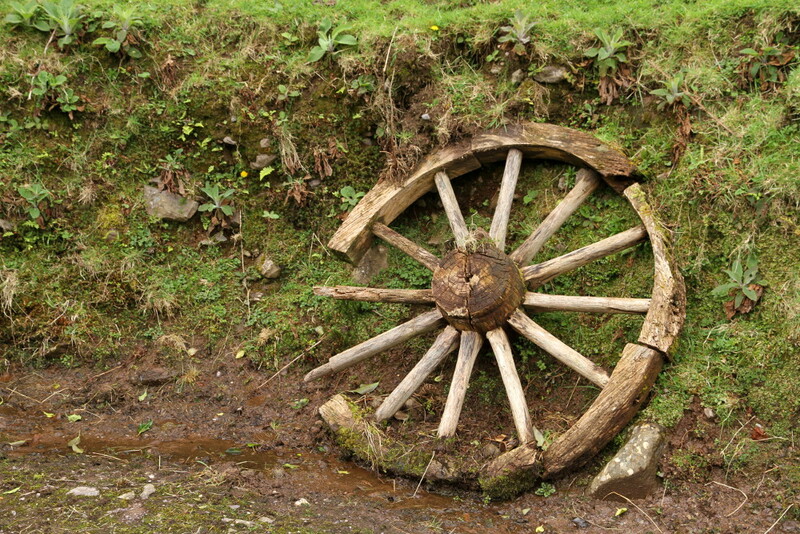 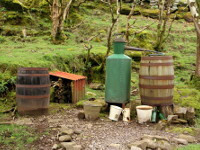 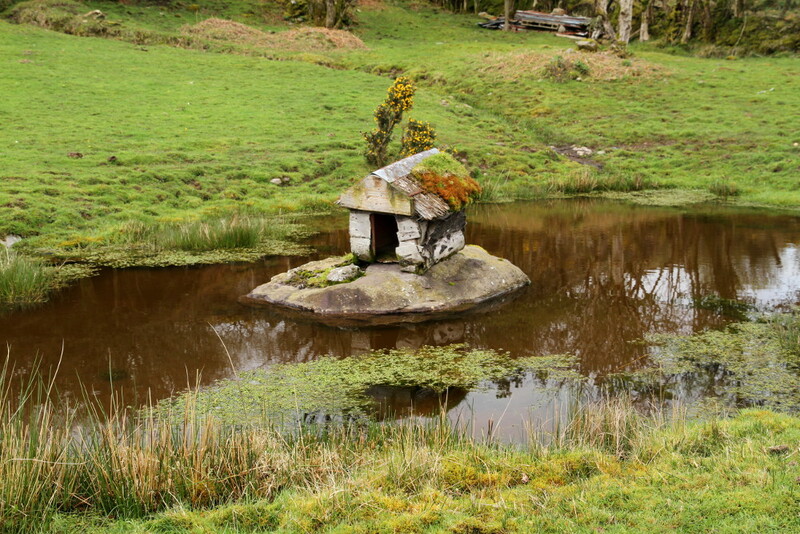 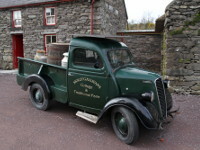 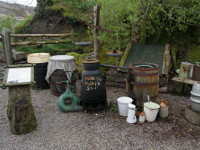 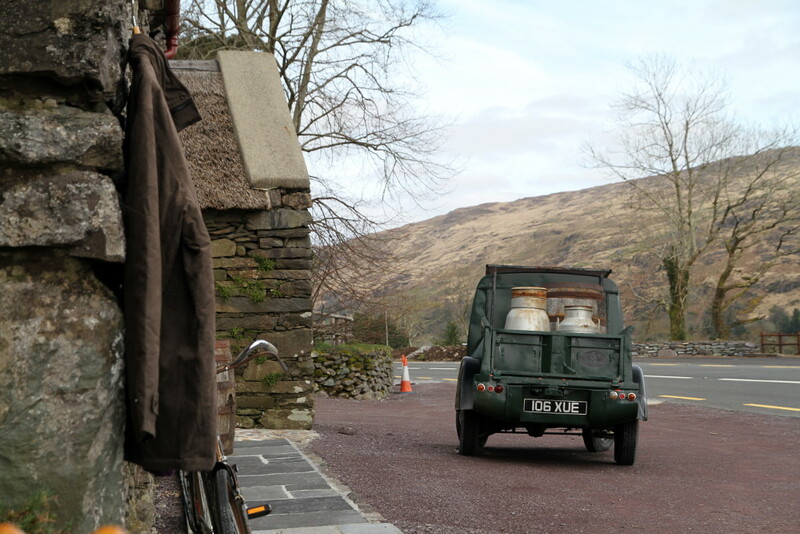 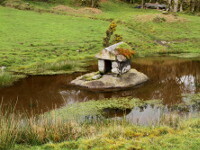 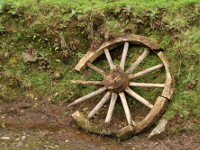 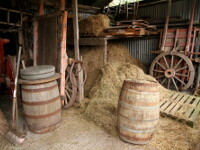 Walking through the farm you will spot the old poitin still, where the famous poitín was distilled. 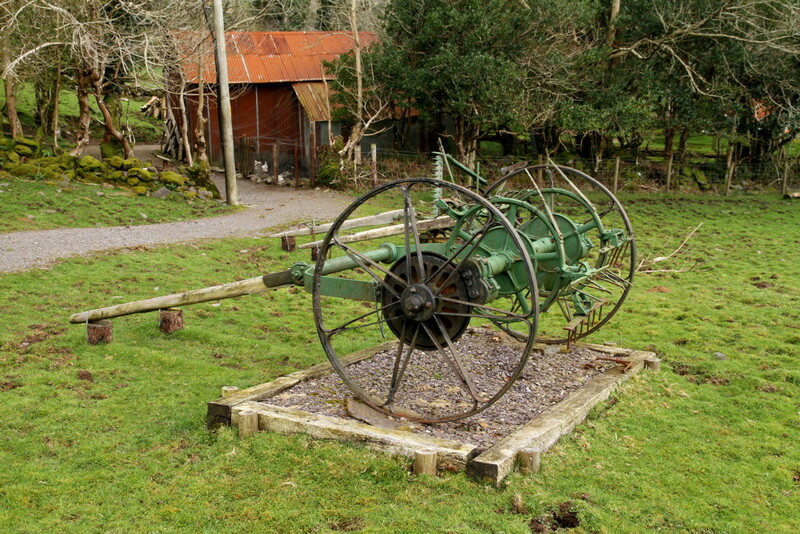 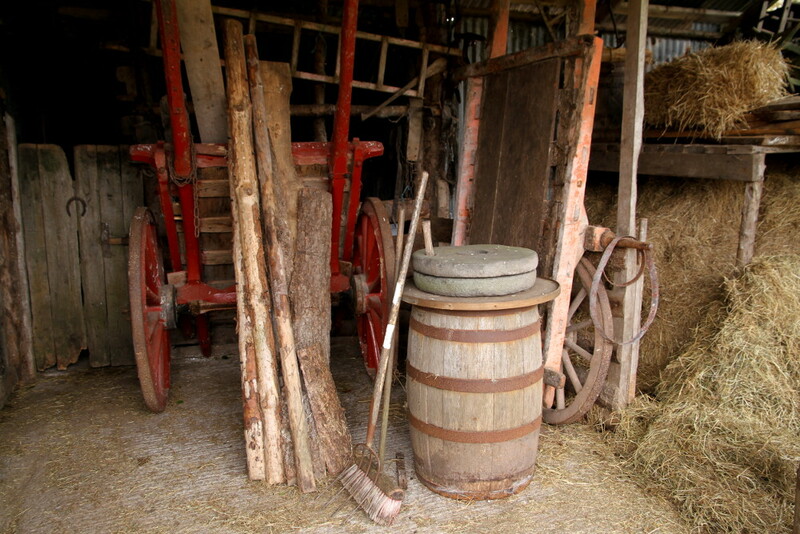 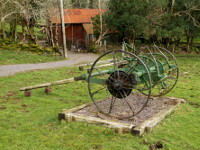 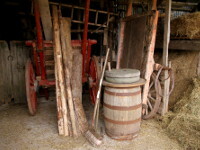 The farm is complete, with machinery from period, animals and fowl. 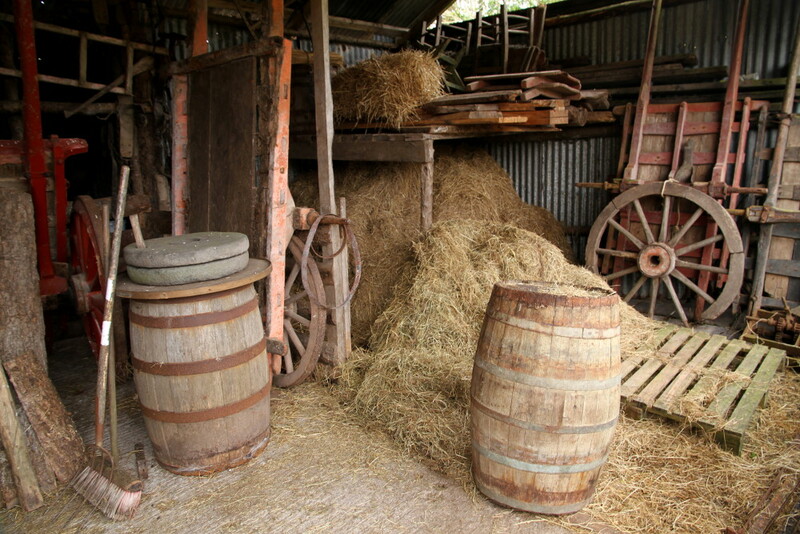 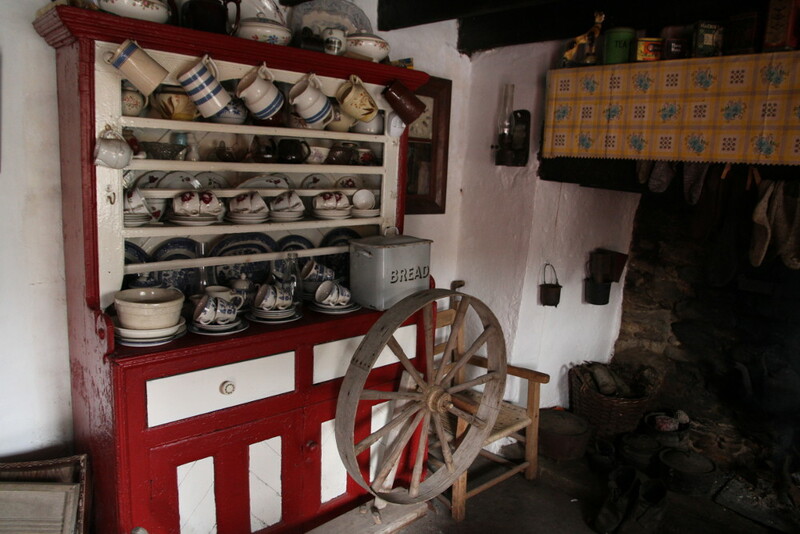 It contains farmyard, sheep house, duck pond, well, lime kiln, turf bog, fields, orchard and garden. 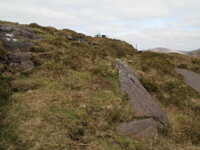 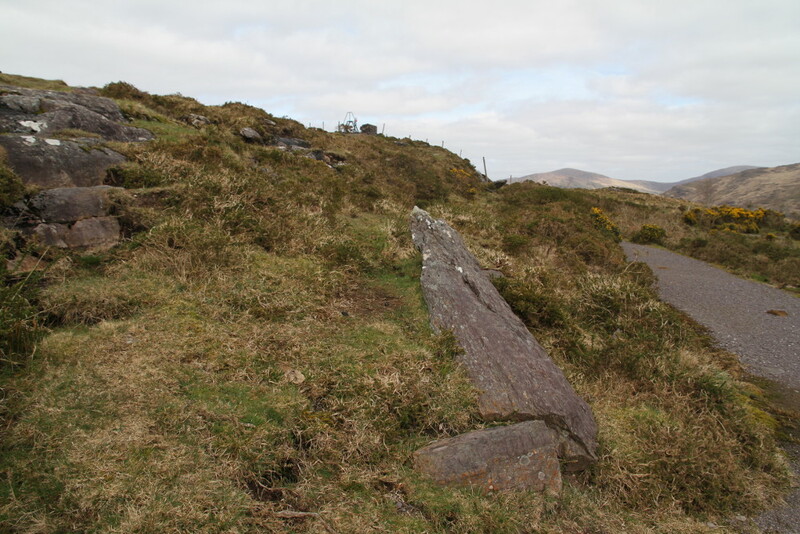 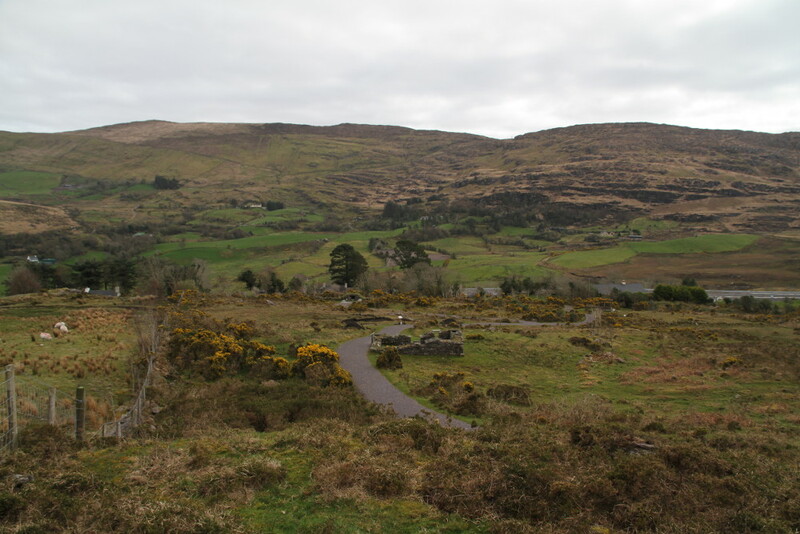 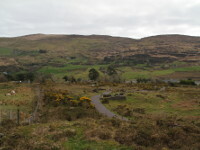 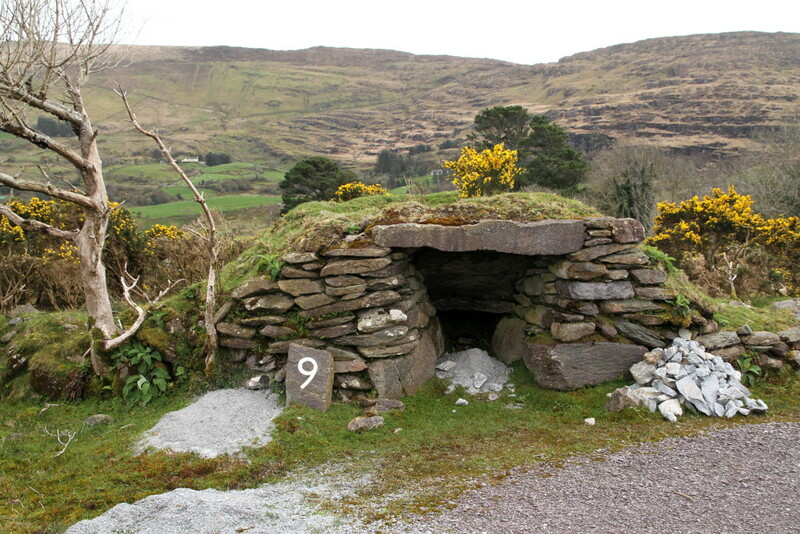 On the grounds of the Molly Gallivan's farm you will also see the acient stone row and famine house ruin. 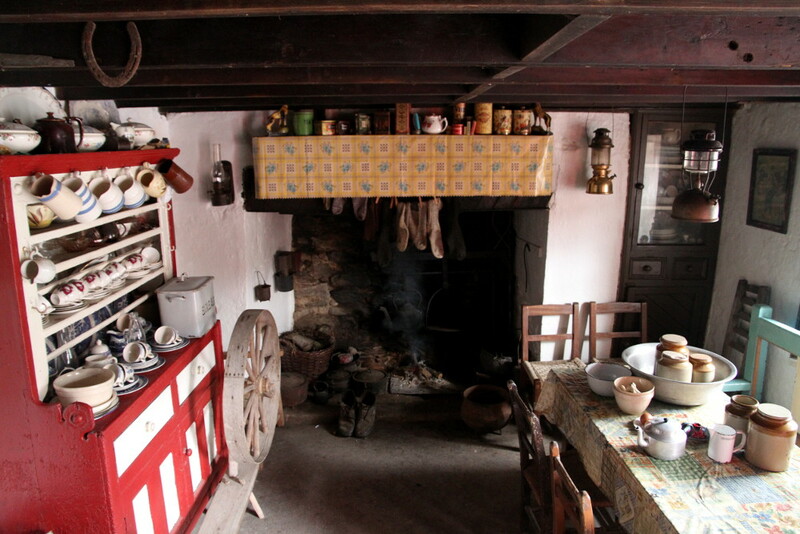 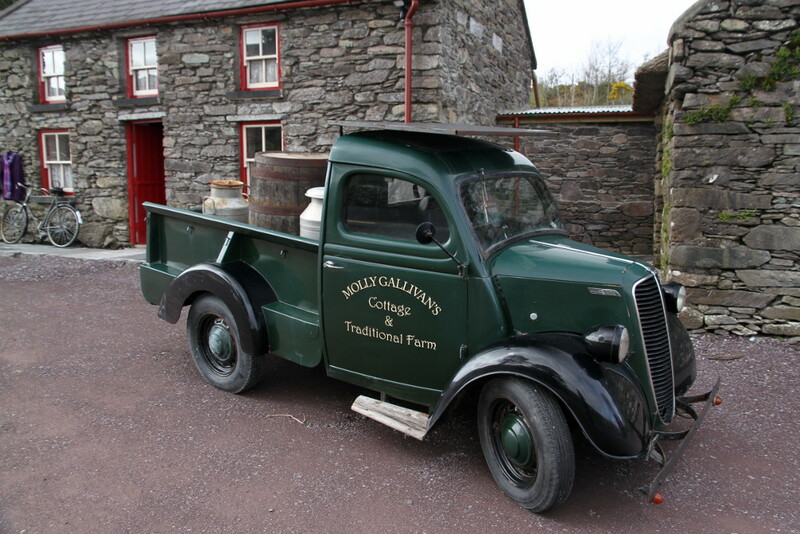 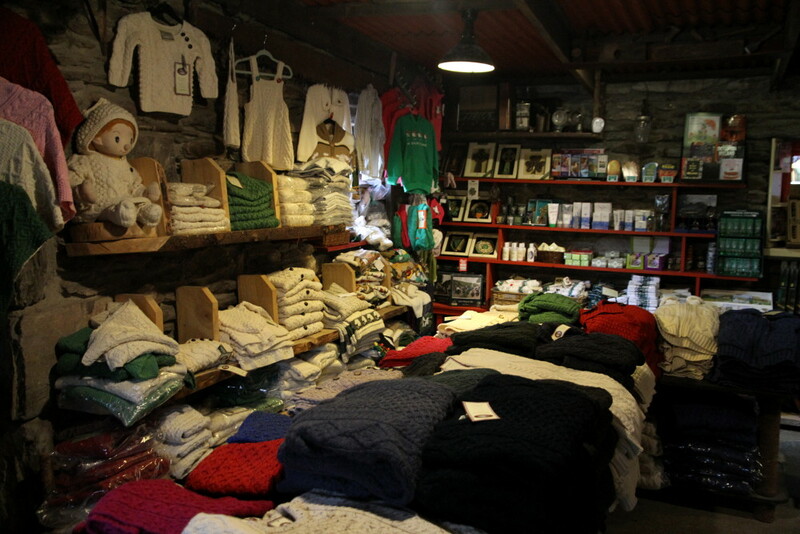 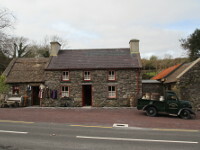 The Molly Gallivan's Cottage and Traditional Farm is run by the family who bought the cottage after the death of Jeremiah Gallivan, the last of Molly’s descendants who lived here, and they turned it in tourist attraction. 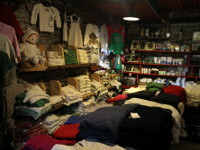 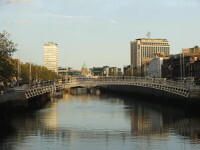 There is also coffe shop and gift shop offering products of local craftsmen.